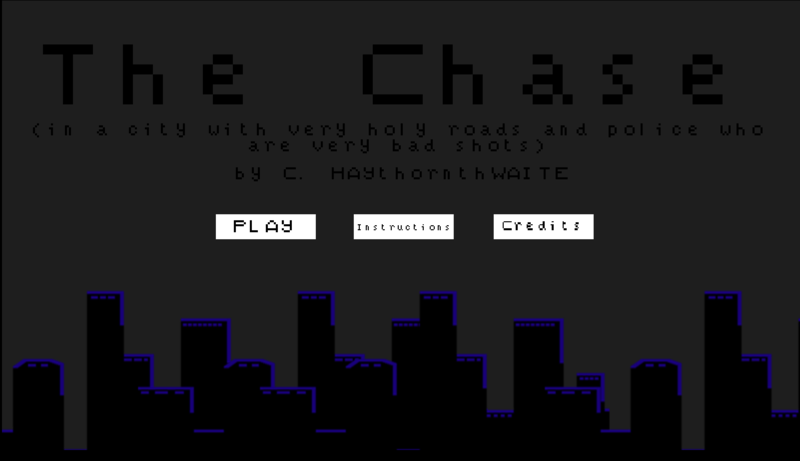 The Chase is a very basic game (can be played by young children), where you are being chased on a car down the street by the police. You shoot their headlights out and from that point they can only shoot at you when you headlights are on. You need to keep your headlights on to see the holes in the road and score points. However if you shut your light off, the police cannot see you and therefore cannot shoot, but you cannot see the holes, but you gain access to power ups that aren't available with your lights on. 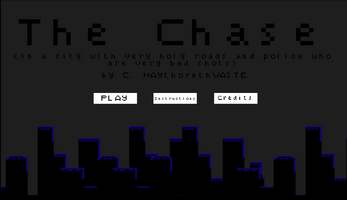 Made as part of The Game Makers Toolkit Game Jam by one guy who has never done this before.